If you’re looking for a magical, effortless way to lose unwanted weight, sorry to say, it doesn’t exist. 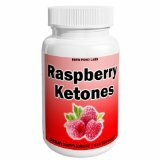 After Dr. Oz promoted raspberry ketones on his television show, as a “fat-burning miracle”, the supplements flew off the shelf. Research on the efficacy of raspberry ketones was based on animal studies of rodents, not human subjects. Andrew Lessman writes an honest rebuttal. He says that there are no weight loss short cuts. Weight loss is accomplished by changing the way we eat, and regular exercise. ABC News quotes Mary Hartley, a clinical nutritionist, “It’s amazing how many people look for a miracle, instead of looking at how much they’re eating.” Dr. Robert Lustig, one of the top experts on obesity in the United States, won’t offer an opnion until raspberry ketones are studied in human subjects. Before you decide to buy raspberry ketones, click the links below to read more about it. With All Due Respect To Dr. Oz: Raspberry Ketone Is Not A Fat-Burning Miracle. Andrew Lessman’s Words On Wellness.com June 13, 2012. Raspberry Ketones Frenzy Follows Dr. Oz Show, by Jane E. Allen, ABC News April 5, 2012. Are Raspberry Ketones A ‘Miracle’ Fat Burner? Dr. Oz Weighs In, by Chris Woolston, The LA Times May 19, 2012. Posted on September 2, 2012, in Health News, Overweight and Obesity and tagged dieting, Dr. Oz, Dr. Robert Lustig, obesity, raspberry ketone, weight loss miracle. Bookmark the permalink. 1 Comment.